Since YouTube has been around for over a decade, it’s no surprise that some people have come up with witty YouTube comments over the years. It’s fun to take the ideas in a video further and engage in discussion with others, find related content, or just make jokes. However, as anyone who frequents YouTube will know, there are tons of worn-out YouTube comments that are no longer funny or witty. They’re old, dated, and not worth writing. The next time you want to leave a comment on YouTube, please avoid the ones on this list. For some unknown reason, many people feel like it’s an accomplishment to leave the first comment on a video. Thus, you’ll find a “First!” comment on nearly every video, especially if you’re among the first viewers. Nowadays, YouTube only lets you sort comments by the best first or newest first. So even if anyone cared (which they don’t), there’s really no way to see who was first. If you somehow stumble upon a video with zero comments, resist the temptation to leave this comment. Add something of value instead. 2. Was This Filmed on a Potato? You’re always sure to find a comment like this on videos of extremely poor quality. Whether it’s old and recorded on primitive hardware, or is instead shaky or out of focus, someone always points it out. If you’re actually able to record a video with a potato, please let us know. 3. Is Anyone Else Watching This in 2018? Find a popular YouTube video that’s been around for years, or a music video of an old song, and you’re sure to see this comment. We hate to break it to you, but the chances are that many others have watched the video this year and will continue to do so for years to come. It’s almost as if great entertainment is enjoyable years after it’s introduced. People often turn to the YouTube comments section to ask about music in a video. This is one of the best ways to discover new music, but not if this tired comment comes out. It’s a common sight to see someone answer “Darude – Sandstorm” anytime someone asks about music. Sandstorm is an instrumental electronic track that many streamers and YouTubers once used as background music, resulting in the joke. For April Fool’s 2015, YouTube even suggested the song under all music-related searches. Please do everyone a favor by only responding to music questions if you actually know the song. 5. Check Out My Channel! In an attempt to build some interest, you’ll often see people leave comments on videos asking others to check out their channel. A lot of the time the linked channels aren’t anything special. Sometimes these commenters are young kids who say they “don’t have a chance” in an attempt to get sympathy. It’s difficult to gain a following on YouTube, but you should do so by creating quality content instead of begging for views. My favorite part was 0:00 to 3:32. YouTube allows you to link to specific timestamps by typing them out, so you can comment something like “Is that guy picking his nose at 1:12?”. But these comments simply say that their “favorite” part was… all of it. Yep, that’s really interesting. Please, tell us more. Unless the owner disables the function, YouTube lets everyone see how many likes/dislikes a video has. On videos with mostly likes, people will often leave a comment “explaining” why the small number of people disliked the video. For instance, on a trailer for a new Mario Kart game with 592 dislikes, someone might comment “592 people came in 12th place”. These comments are at least different from each other, but it’s still a worn-out formula. We’ve gathered the most-disliked YouTube videos of all time if you’re curious. Don’t have anything witty to say? Why not just take a quote from the video and paste it as your comment? This is a common sight. Whether it’s because people are just lazy or because they want to garner as many pointless thumbs-up ratings as possible, we’re not sure. 9. Anyone Else Here Because of…? John McYouTuber sent me here. Anyone else here because of NHL 06? It’s great that you’re expanding your horizons like this, but you really don’t need to let everyone know how you found the video. Simply put, we don’t care. Wander a little too deep into crazy YouTube territory, and you’re sure to see some of these comments pop up. There’s a lot of wacky content on YouTube, and these comments act as (unneeded) signposts that you’ve reached that area. How would you ever know something was weird if nobody commented on it? I liked the part where he played the saxophone. Oh, did you? I missed that part—could you please point it out? That would be so funny. 12. Now This Is Good Music! Forget Justin Bieber and Katy Perry, give me [this band]. Kids today will never know music like this. Still good in [year]. Not like the crap music of today. Even if this is true, what does music that came out in the 2010s have to do with music that came out in the 90s? Can’t you just enjoy it for what it is? 13. Thumbs Up if You Agree! The point of the thumbs up/down system is to show which comments are actually good and hide the spam/junk. Thus, including “thumbs up if” phrases in your comment is essentially cheating. Thumbs up if you think this is [band]’s best song. Thumbs up if you remember watching this in 2009. Thumbs up if you played this on a loop. Then again, YouTube isn’t the only place where crap gets upvoted. Lots of awful Reddit posts explode in popularity, too. 14. What Did I Just Watch? Similar to the “weird part of YouTube” comment, this one is another stale response. If the video really was weird, why not talk about what makes it so strange instead of leaving this bland remark? Doctor: You have four minutes and 52 seconds to live. I don’t know if watching a YouTube video would be in my short list of what to do in my final hours, but I think I’ll need a doctor if I see another one of these comments. After years of making these same tired old YouTube comments, it’s time for us to do better. Try to avoid leaving these comments yourself, and instead come up with more original content. Comments like these are so far from being unique that they’re not even interesting anymore. 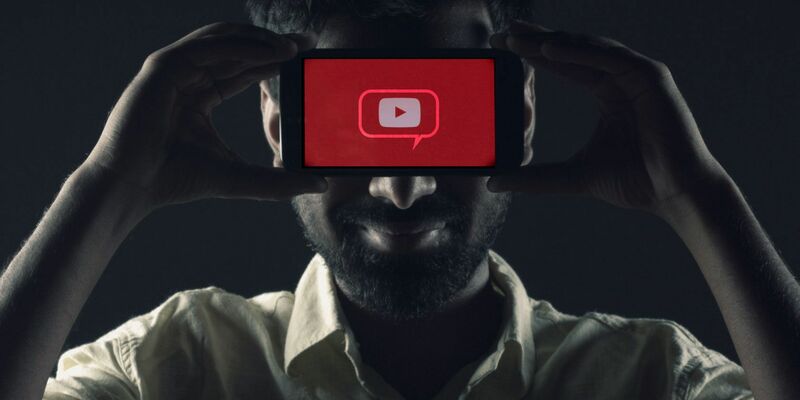 Comments are just one of YouTube’s ongoing problems though, so please check out our list of ways you can save YouTube from itself. ← Want to buy in to 5G?